I read that and was instantly reminded of the t shirts in the 80's that changed with the heat of your body (I had an orange/yellow one btw). 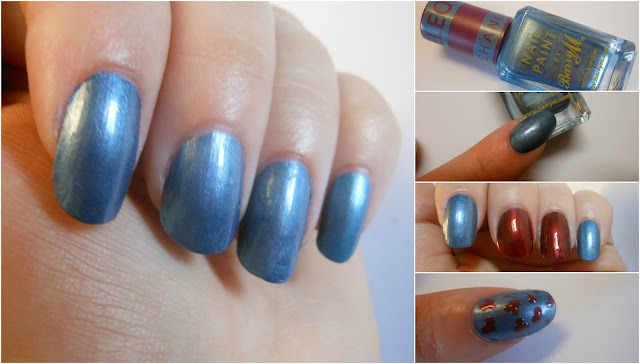 Being a lover of all things 80's and an addict to all things polish I had to give these a go. Wanna see how they look on the nail? Chameleon Blue is a chrome effect silver based blue, once covered with a top coat though it transforms into a beautiful maroon metallic. The polish itself is a one coater, no question, thick and opaque in an instant it's easy to work with. 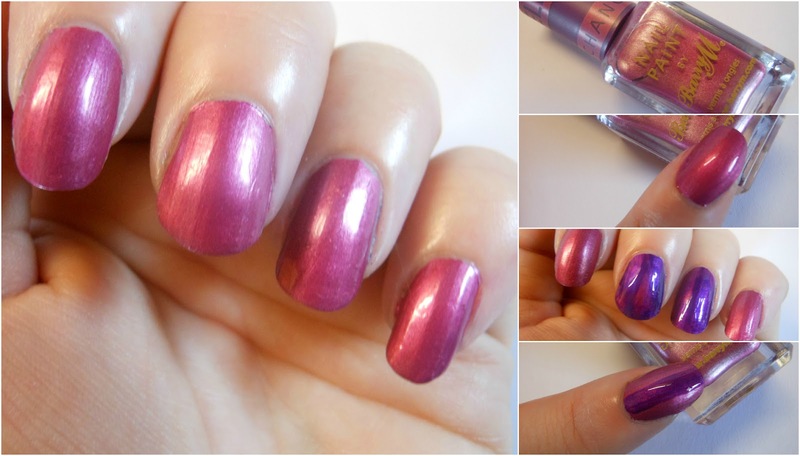 Chameleon Lilac is just that a chrome lilac silver that once a top coat is applied turns a deeper metallic purple shade. Again, this is a one coat wonder as with Barry M Foil Paints. Chameleon Pink is a chrome dusky pink and probably my favourite base colour of the three. One coat is all that's needed and once covered it transforms to a deep metallic purple. This, unfortunately, isn't as good at the old switcheroo as the other two. The picture above is following 3 attempts to get it right. There is room to get a little creative with these polishes too, simply paint on designs or dots using a clear top coat and watch your creation develop, just like a magic marker! Barry M recommend using a base coat with these polishes and that's more because of the foil formulation than anything else. It shows up every, lump, bump and ridge if you don't. They're a fun and quirky idea and are a pleasure to work with. I'd love to see the pink colour in a normal polish though as it has no hope of lasting more than a day without a top coat. Priced at €5.99 they're available in Boots and Superdrug now. 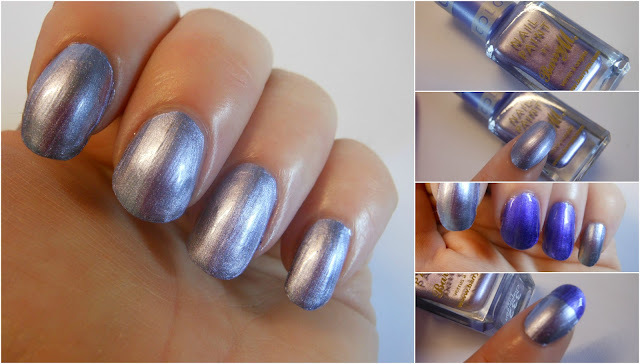 What do you think of Chameleon polishes? Unnecessary or Über cool? They look gorgeous, they are definitely necessary! I'm dithering. I wanted them and then I didn't, and now I'm not sure again. I'm not mental about any of the base colours and I'd say the novelty would wear off for me fairly soon! They're e5.42 on Asos.com too :) I thought of the Hypercolor t-shirts too! I bought the blue one, I'm still unsure if I like it or not. I tried doing a nail post but failed miserably, don't think my paws are fit for general viewing!